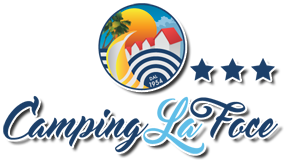 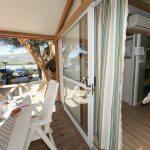 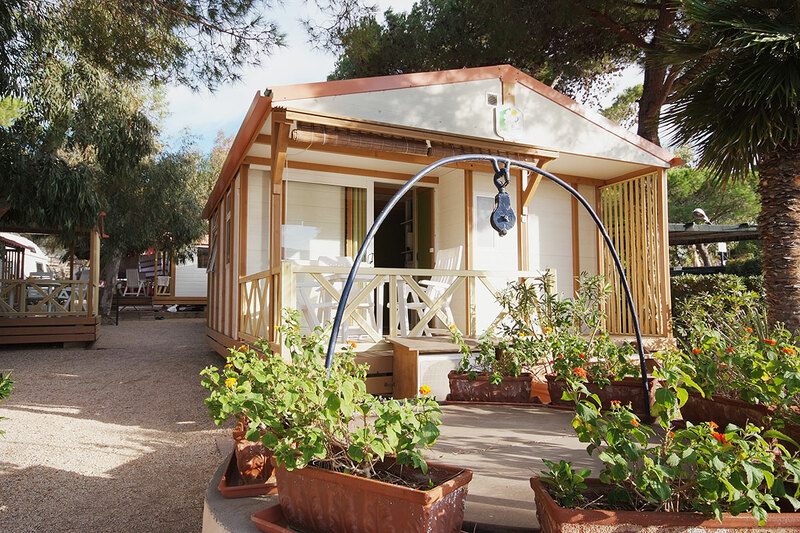 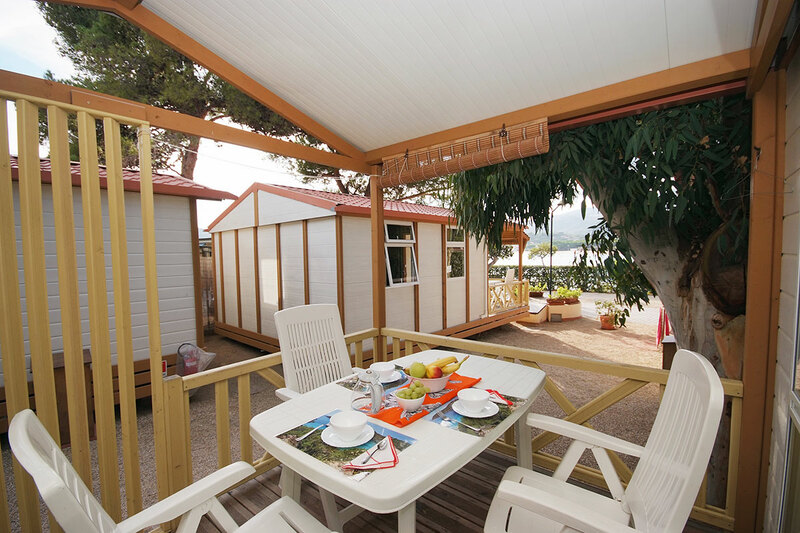 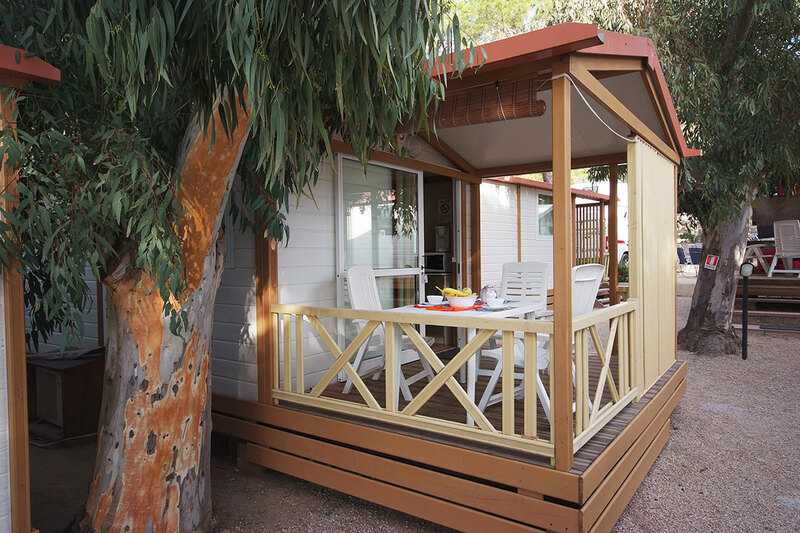 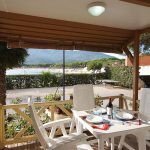 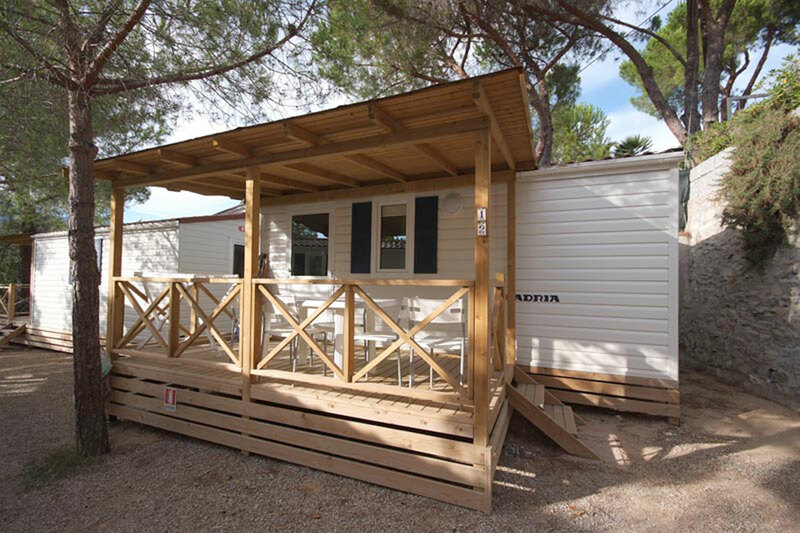 Our campsite also has some fully equipped bungalows that sleep 4/5 people, with covered balcony and air conditioning, all opposite the beach. 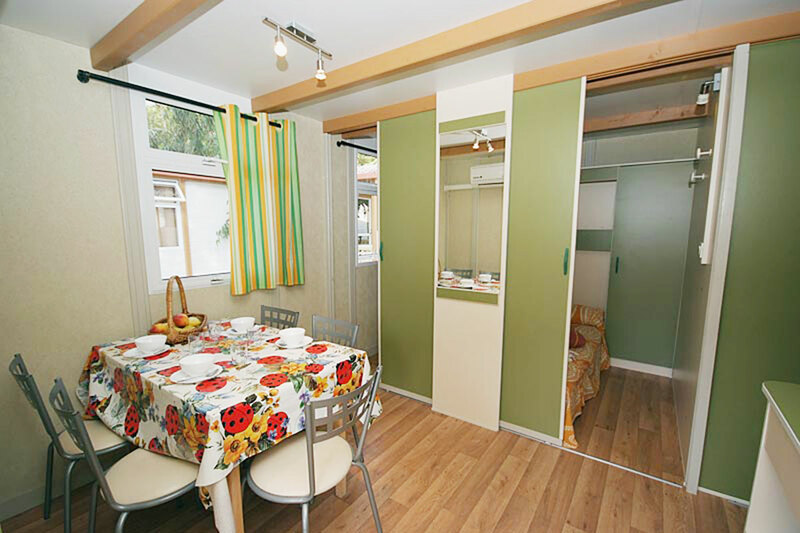 The bungalows are equipped with pots and dishes. 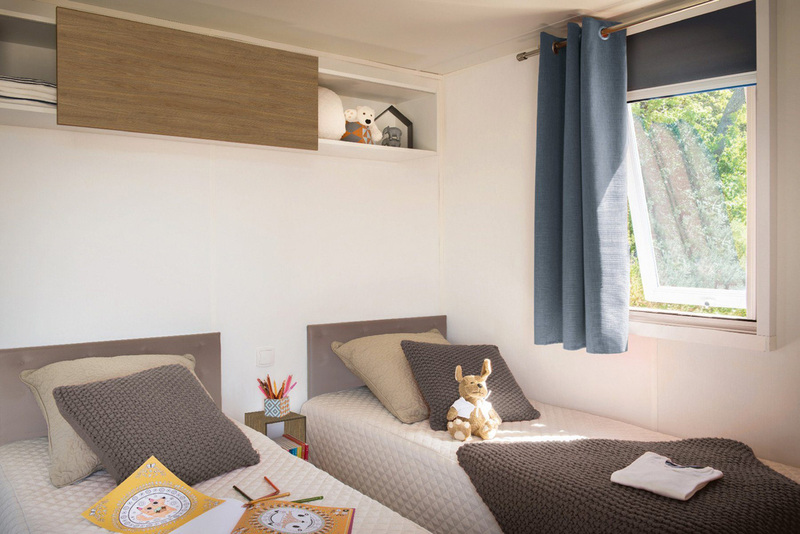 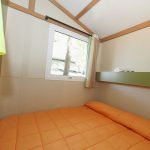 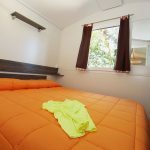 The price includes: water, gas, electricity, 1 car parking, beds linen and blankets with weekly change, and final cleaning. 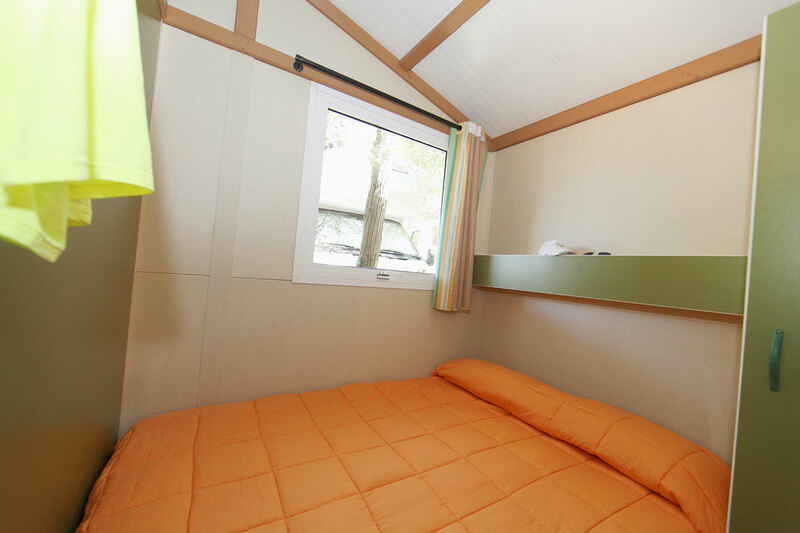 Stay from 16.00 of arrival day until 10.00 of departure day. 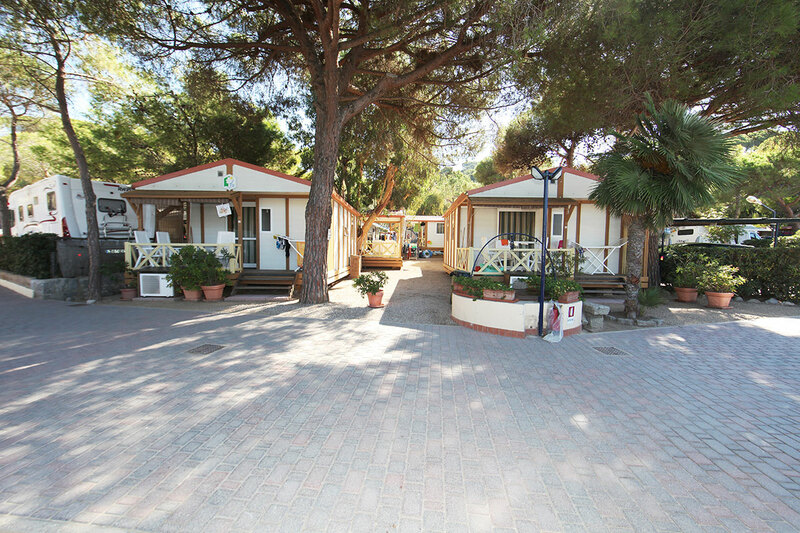 Arrivals and departures: on Saturday or Sunday. 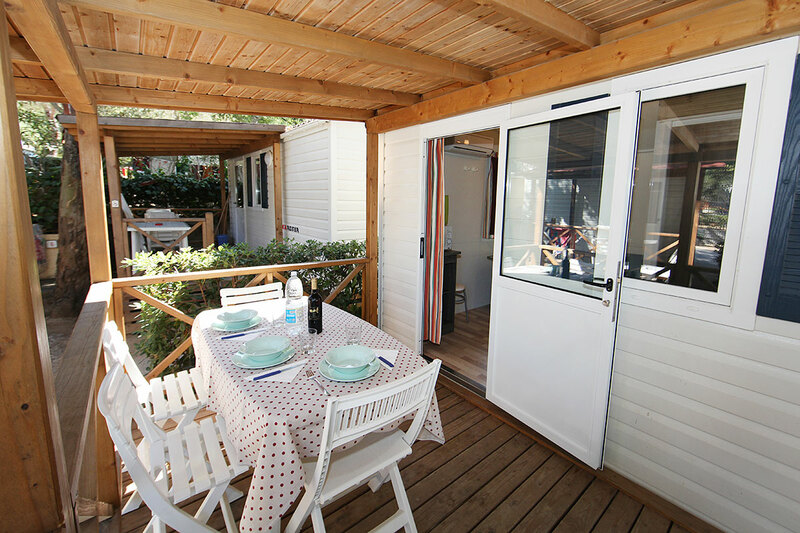 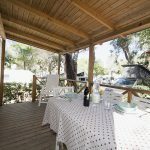 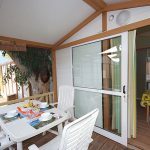 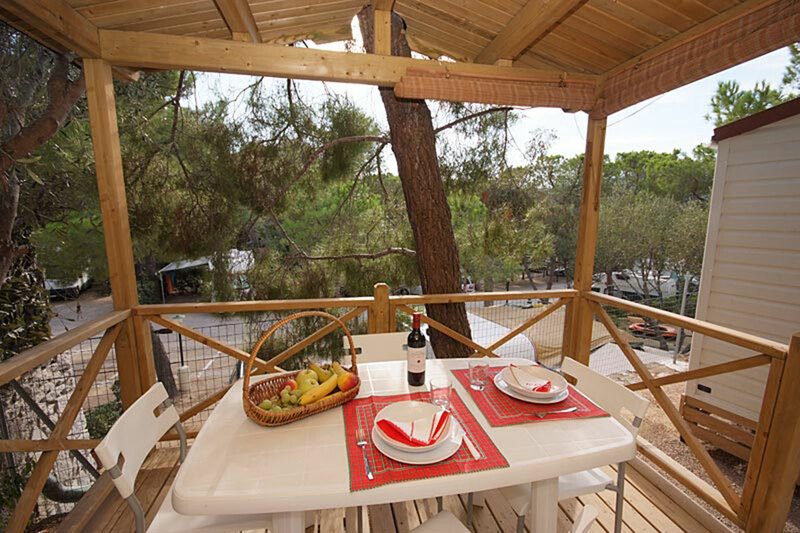 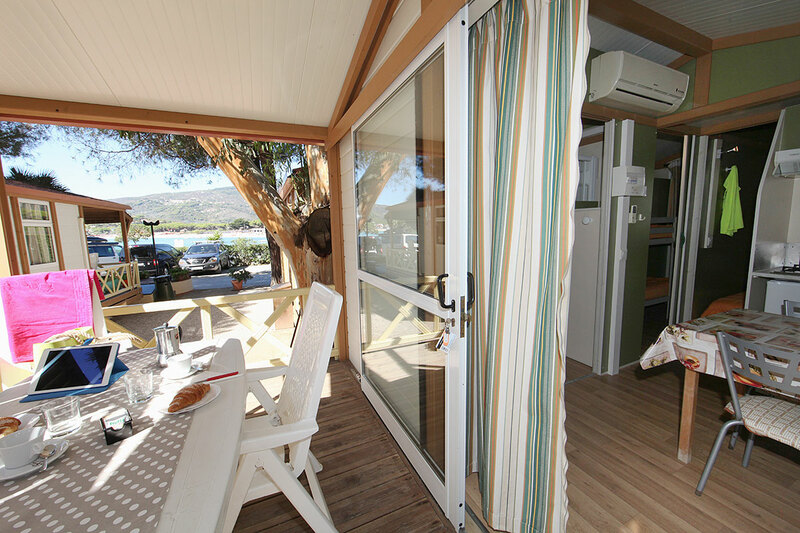 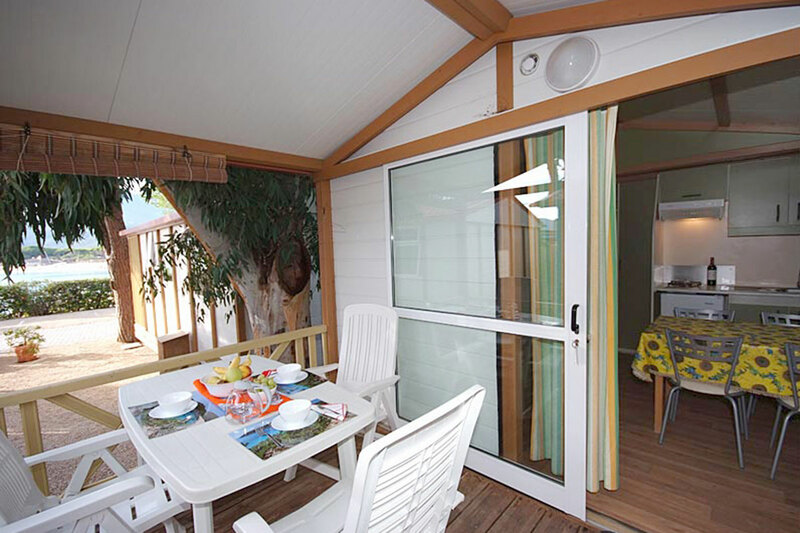 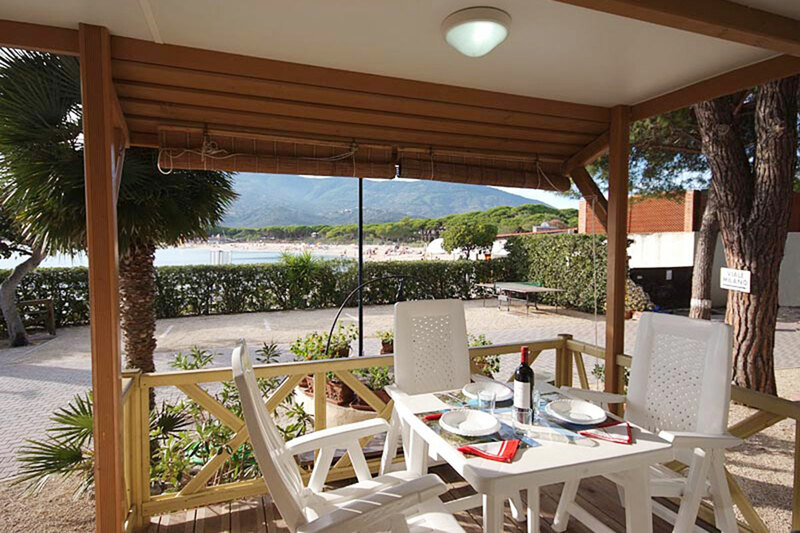 With covered veranda equipped with table and chairs, with view on the sea, with air-conditioning. 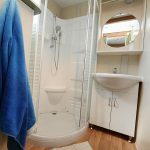 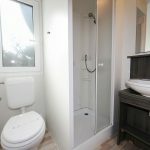 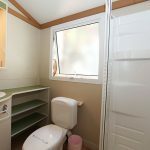 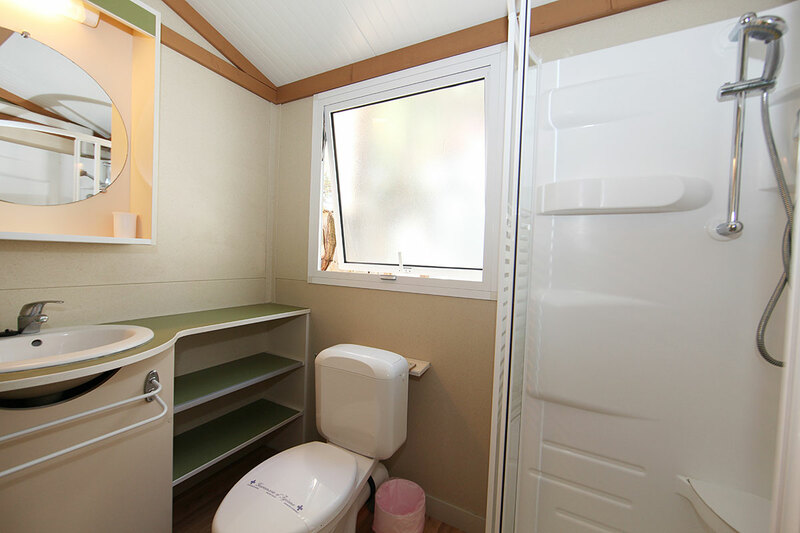 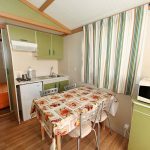 Bungalow complete for 5 people and composed of two bedrooms, one with double bed and the other with bunk bed and single bed, kitchenette with 2-burner hob, microwave, dining room, bathroom with shower, separated wc. 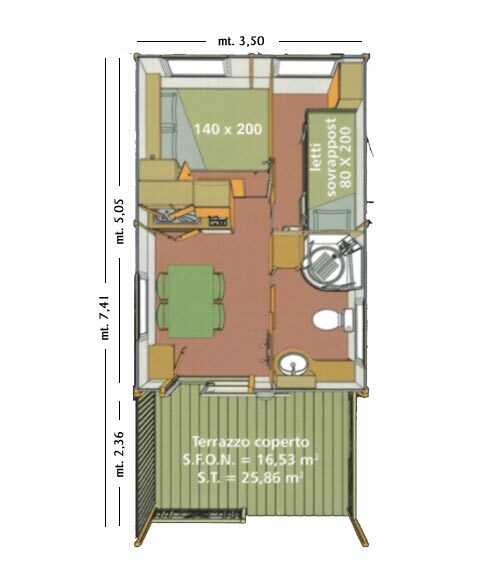 Size: 6.90m x 5.00m, veranda included. 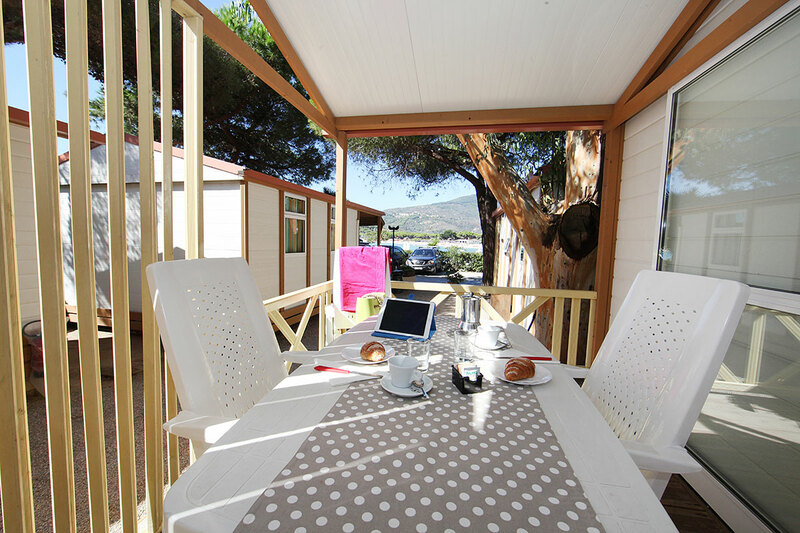 With covered veranda equipped with table and chairs, in front of sea, with air-conditioning. 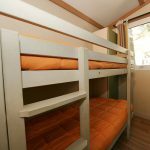 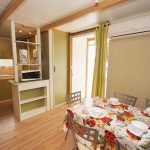 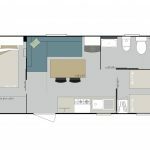 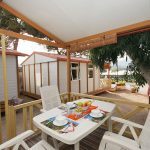 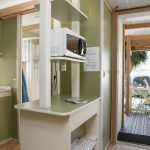 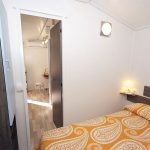 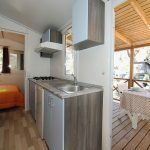 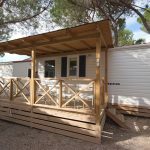 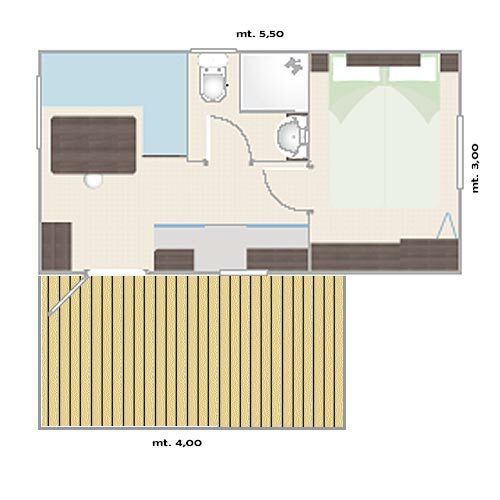 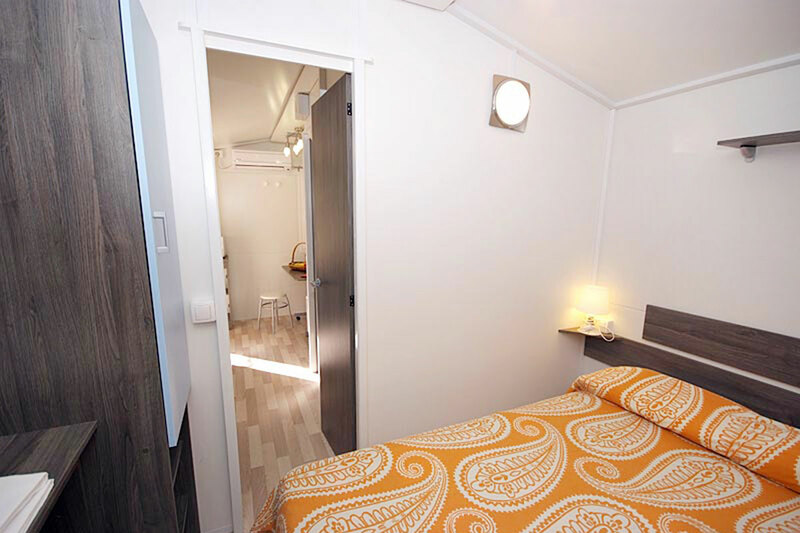 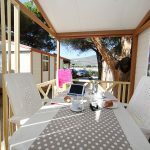 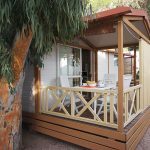 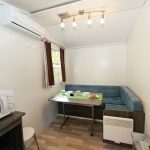 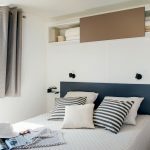 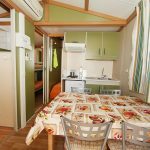 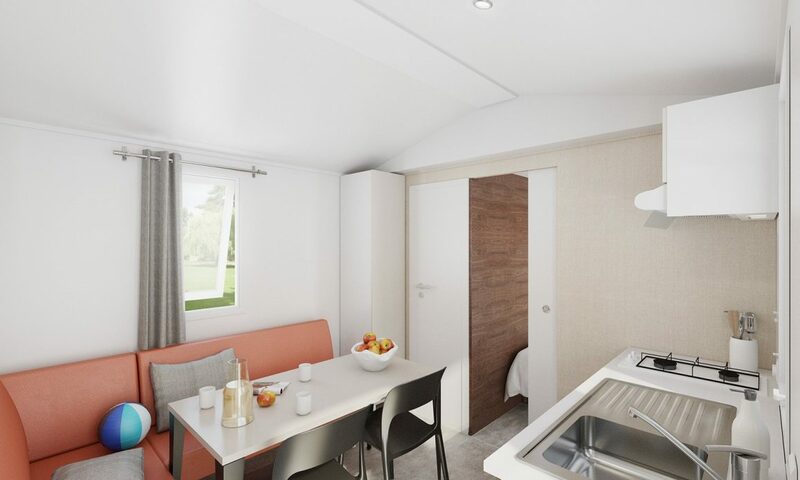 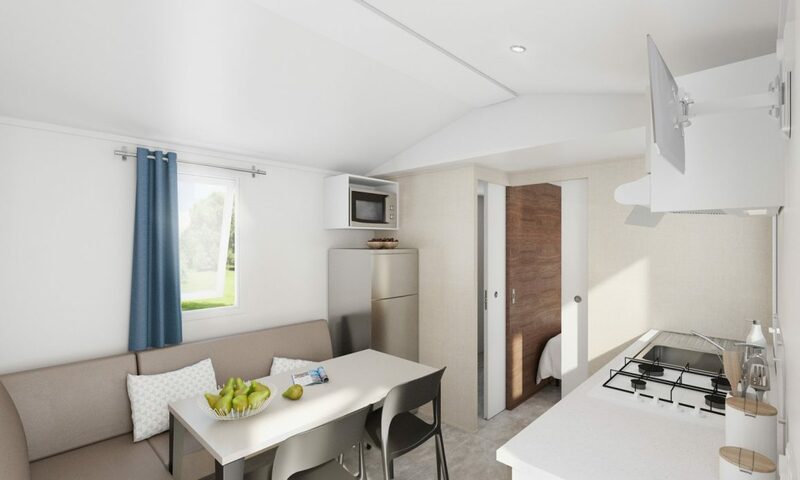 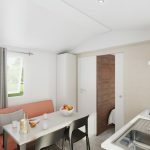 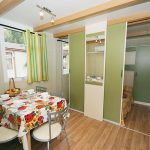 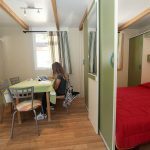 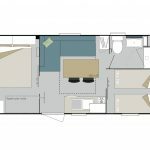 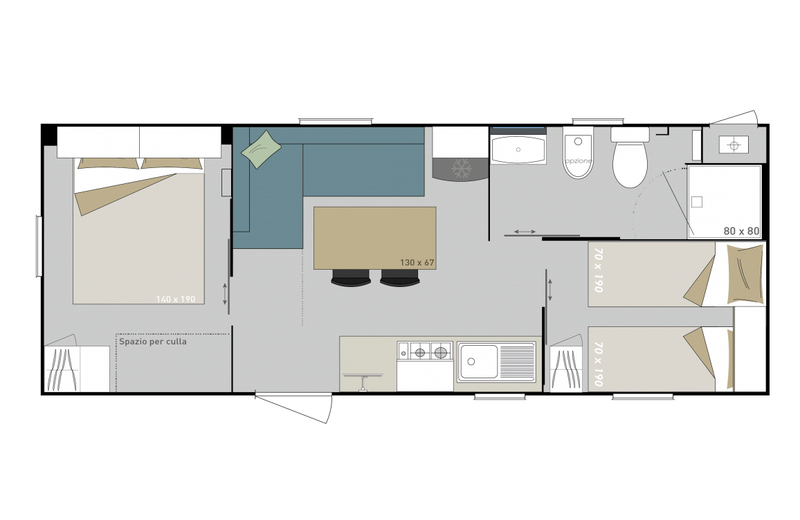 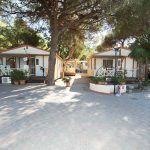 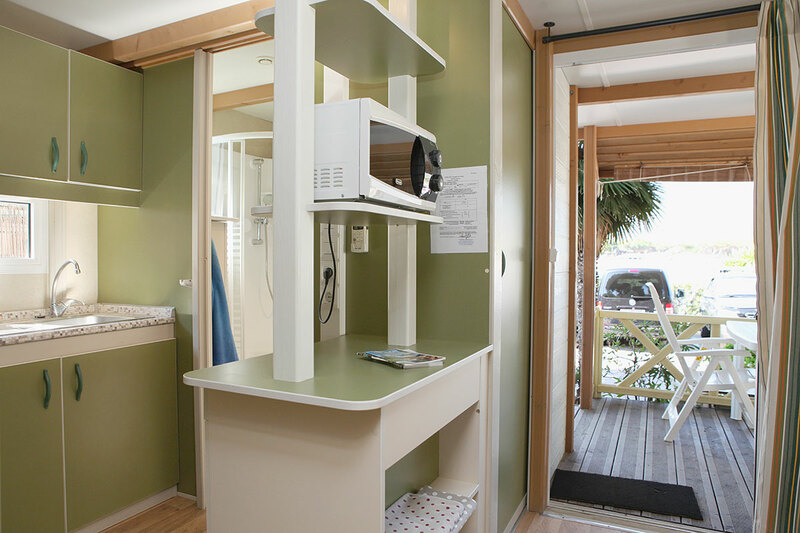 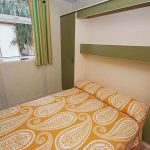 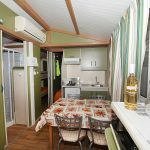 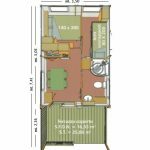 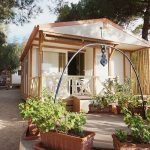 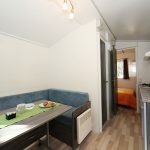 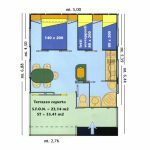 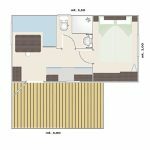 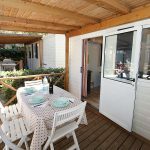 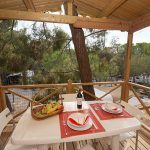 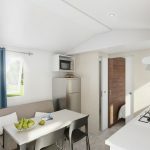 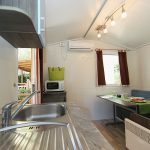 Bungalow complete for 4 people and composed of two bedrooms, one with double bed and the other with bunk bed, kitchenette with 2-burner hob, microwave, dining room, bathroom with shower. 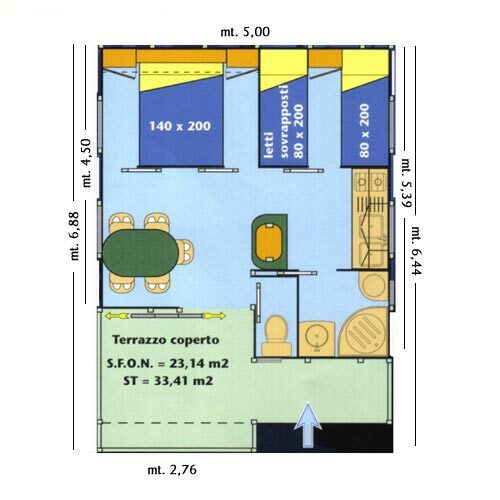 Size: 7.40m x 3.50m, veranda included. 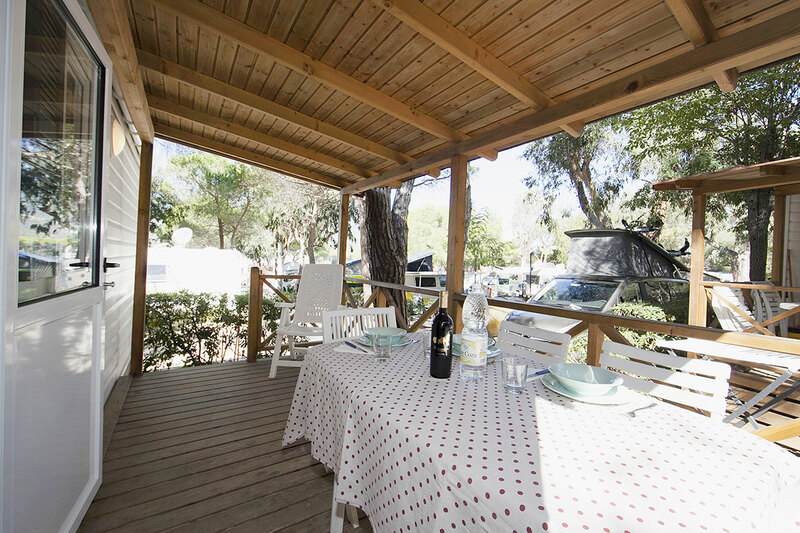 With covered veranda equipped with table and chairs, air conditioning. 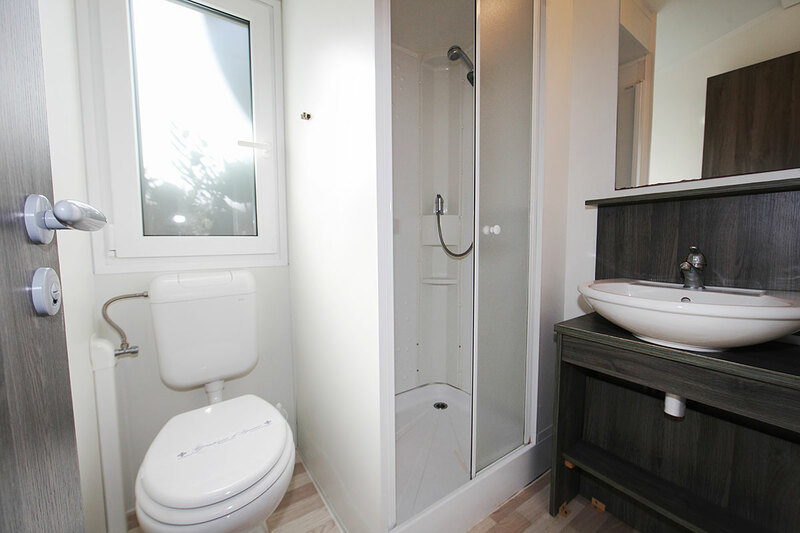 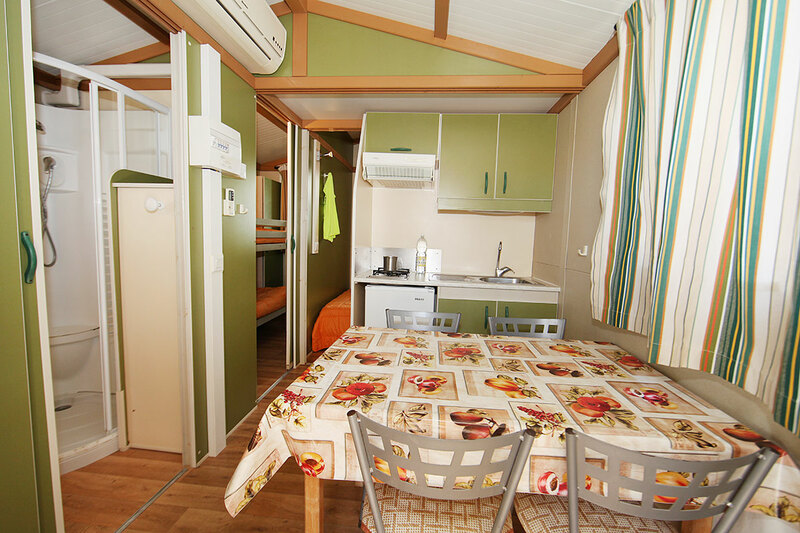 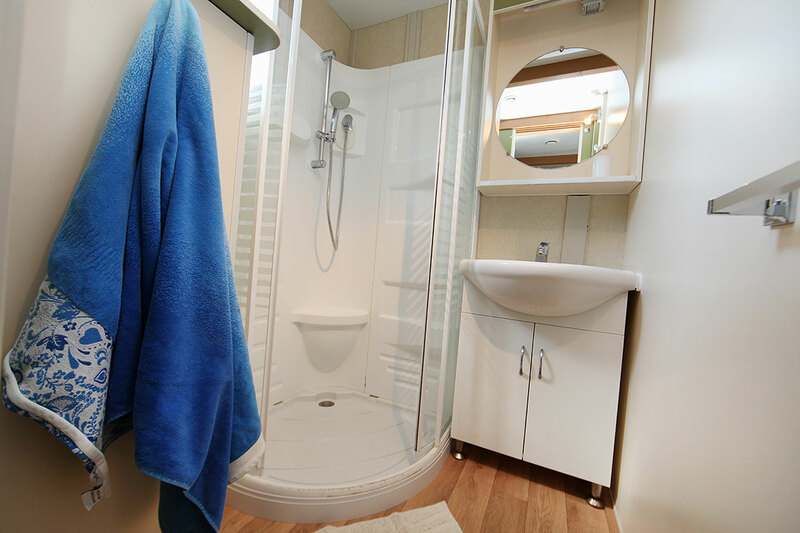 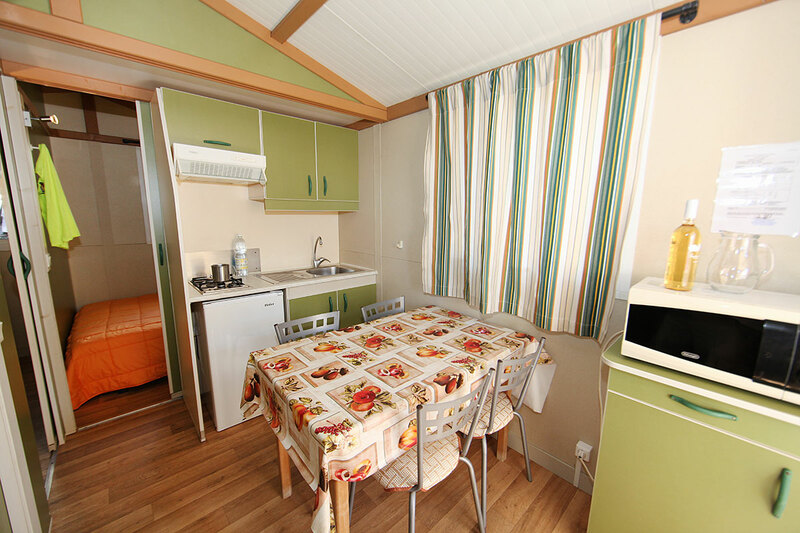 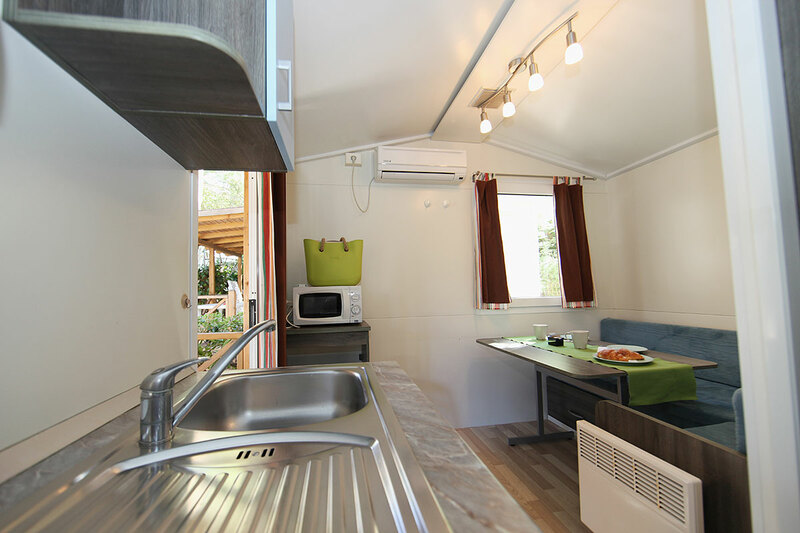 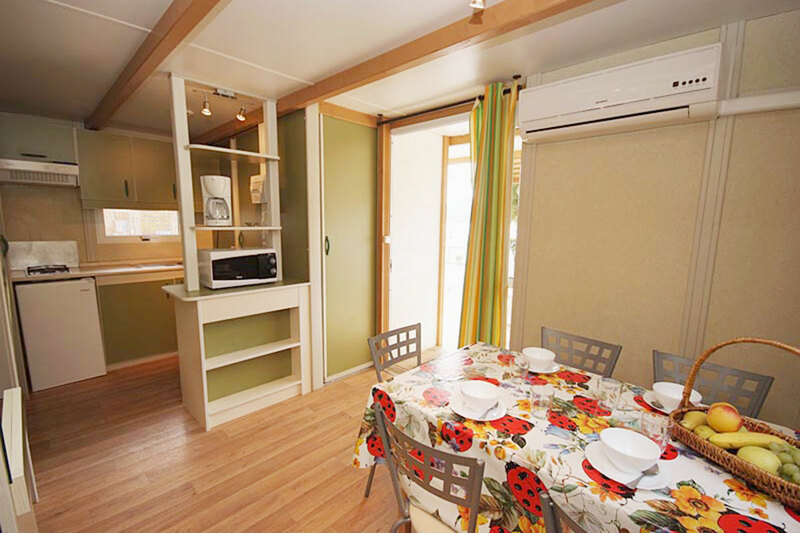 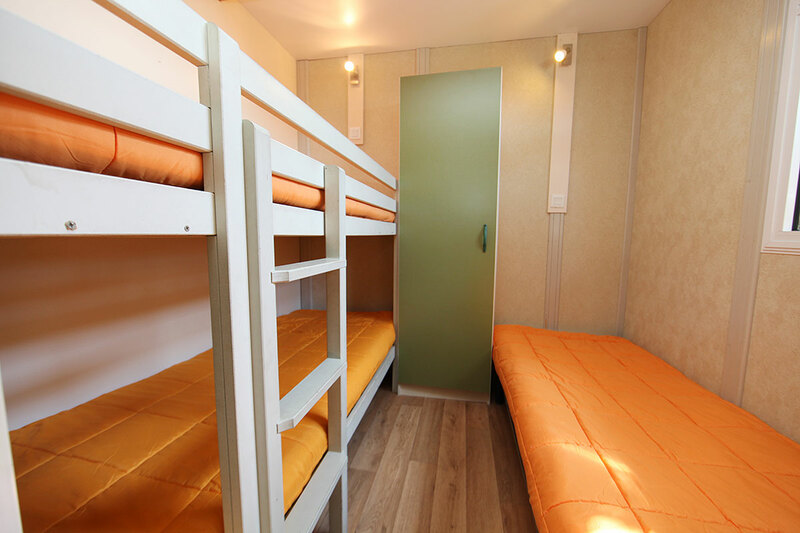 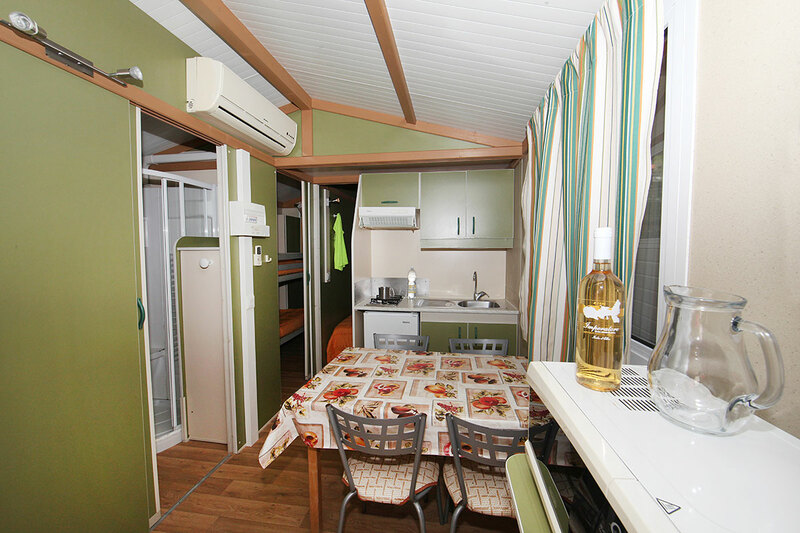 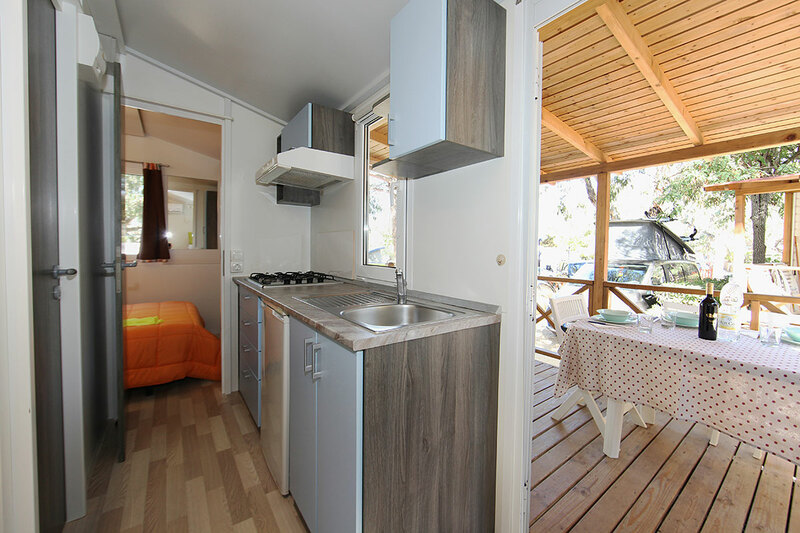 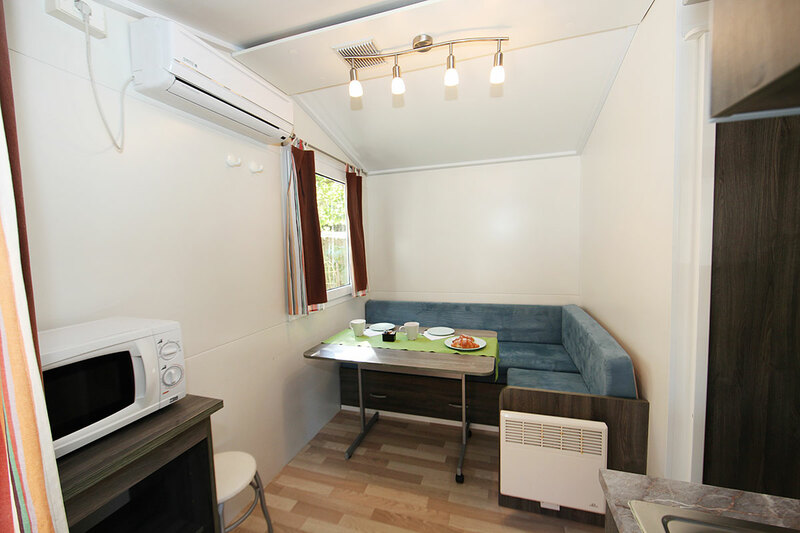 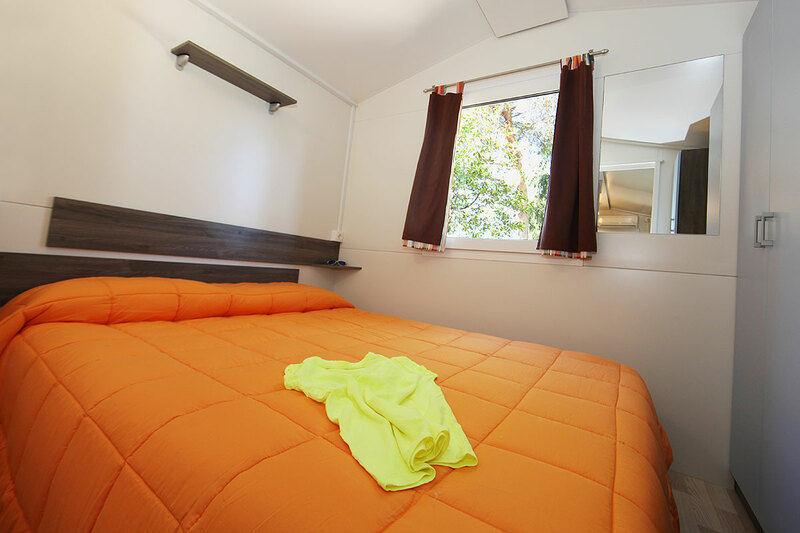 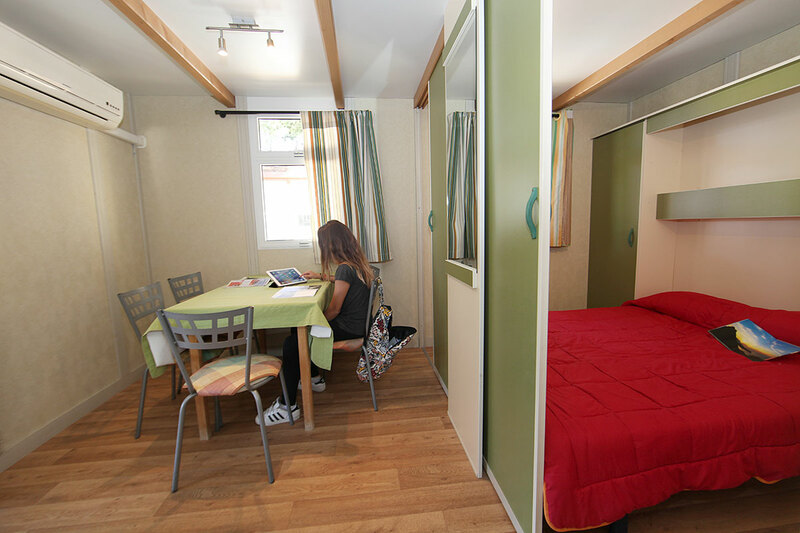 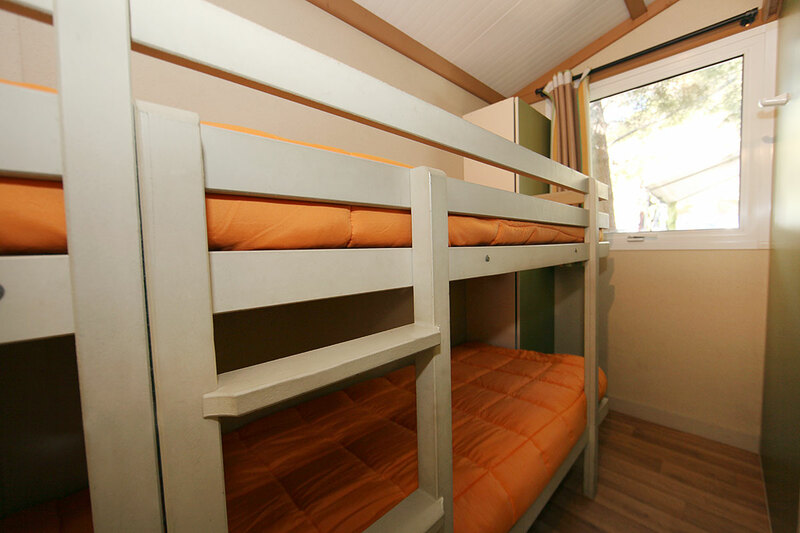 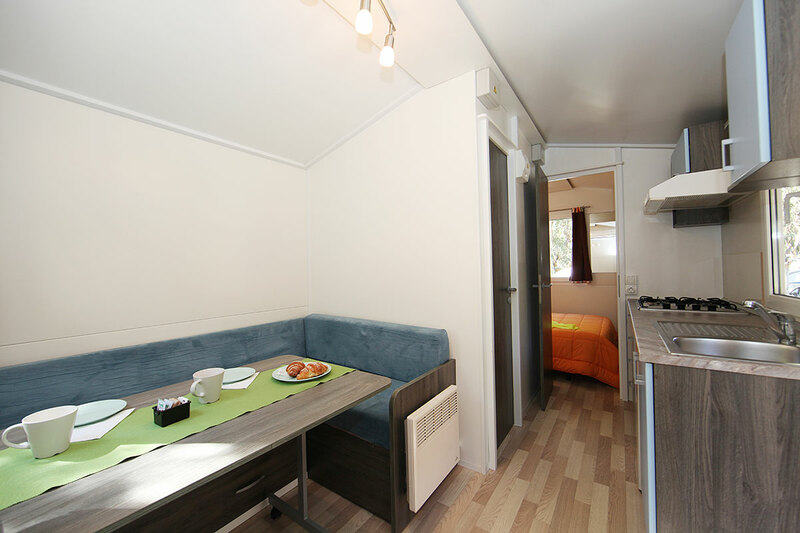 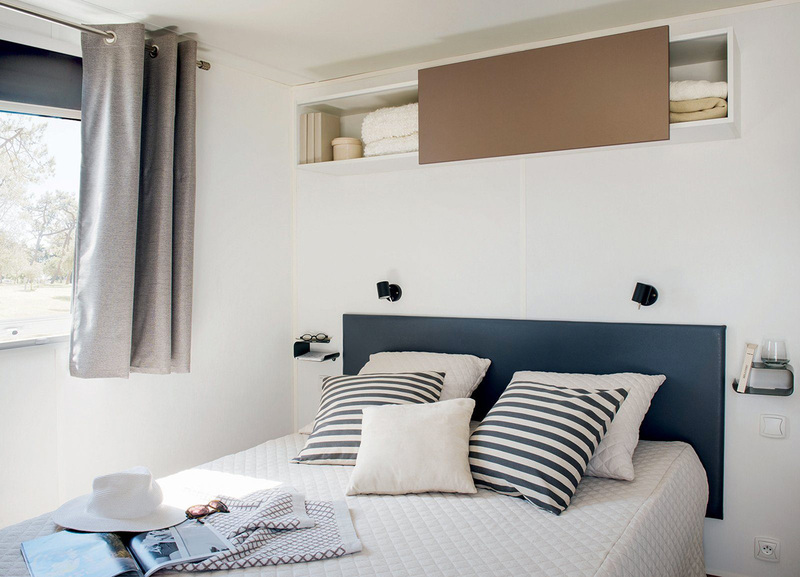 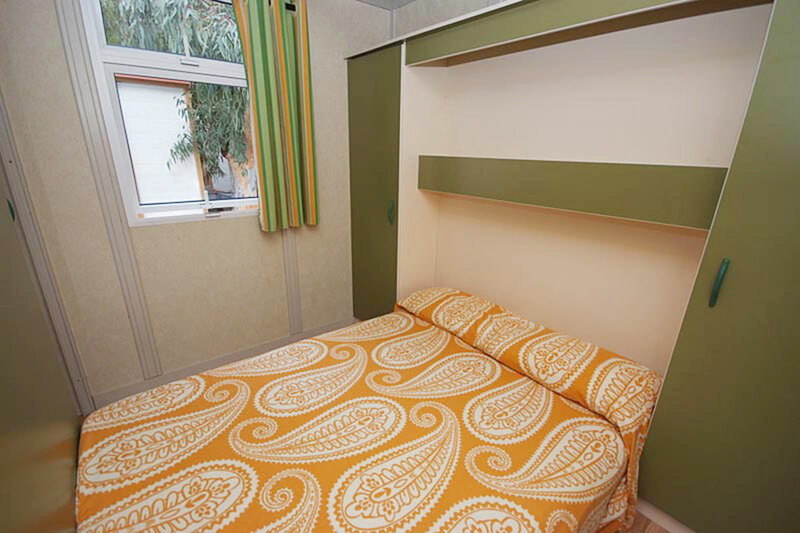 Composed of one double bed room, dining room, kitchenette with 4-burner hob, microwave, bathroom with shower. 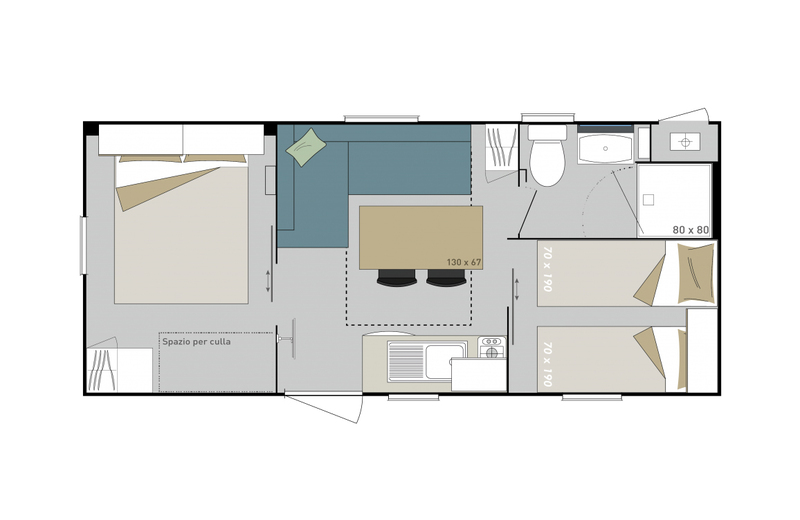 The sofa turns into a comfortable double bed.